Abe Vigoda, the character actor who first became famous for his roles in The Godfather and Barney Miller and then for his good-natured lampooning of his own persona on late-night TV, has died. His daughter tells the Associated Press that Vigoda died at home in New Jersey of natural causes. He was 94. Although he began acting in the mid-’60s, Vigoda was virtually unknown when Francis Ford Coppola cast him as Tessio in 1972’s The Godfather during an open casting call. That role led to a string of mobster parts, which was broken when he was cast as hangdog detective Phil Fish on ABC’s cop comedy Barney Miller in 1974. The character was ultimately so successful that Vigdoa was nominated for three Emmys for the part, and starred in his own spinoff series, Fish, from 1977 to 1978. For the next few decades, Vigoda enjoyed a steady career in film and TV, often being cast in the gangster and cop roles that made him famous. He was also a frequent presence in film comedies, where he played off his slouchy appearance in movies like Look Who’s Talking (1989), Joe Versus The Volcano (1990), Good Burger (1997), and Chump Change (2000). 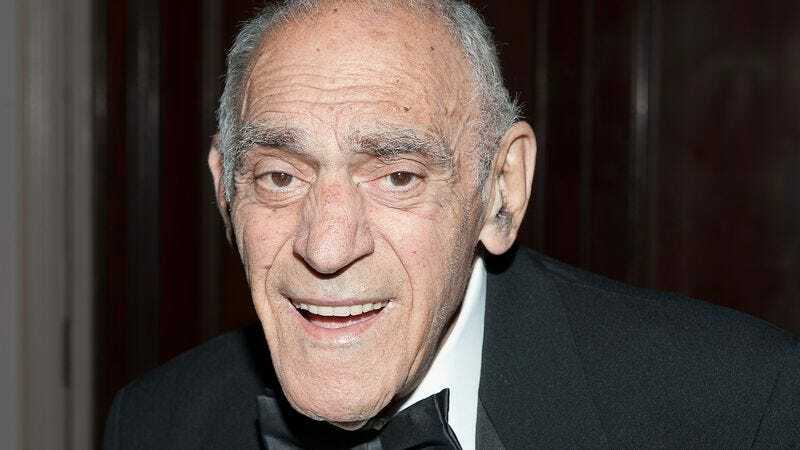 Although he continued to appear in movies and on TV, a series of false reports in the ’80s led to widespread rumors that Vigoda had died, hearsay he accepted with commendable good humor. His career took an unexpected turn with appearances on NBC’s Late Night franchise, where he surfaced to refute claims of his death during the David Letterman era, and was a fixture of Conan O’Brien’s stint as host. He also appeared in a Snickers commercial with Betty White in 2010, and has received the unusual honor of having a punk band named after him, both signs of his status as a pop-cultural cult figure. Vigoda is survived by his daughter, Carol Vigoda Fuchs. His wife, Beatrice, died in 1992.